The 51s had one eye on the scoreboard, but they had plenty of focus to take care of the Tacoma Rainiers, winning 9-4 and moving back into first place in the Pacific Coast League’s Pacific South division after El Paso lost to Reno 6-5. It’s been a long season, and 51s manager Wally Backman’s team hasn’t been hitting. So with the biggest game of the season looming Friday, Backman told his guys to pass on pregame batting practice and just come to Cashman Field ready to play. And while the 51s had one eye on the scoreboard, they had plenty of focus to take care of the Tacoma Rainiers, winning 9-4 and moving back into first place in the Pacific Coast League’s Pacific South division after El Paso lost to Reno 6-5. Las Vegas has a half-game lead. El Paso will play a doubleheader today against the Aces, and the 51s and Rainiers will meet at 7:05 p.m. The regular season ends Monday. “We swung the bats well,” Backman said. “We’ve struggled at the plate the last 10 games, and it was just a matter of time, so it was nice to see us break out when we did. After struggling at the plate the previous two nights, the 51s pounded 12 hits Friday before a fireworks night crowd of 7,573, building a 7-0 lead through four innings. A four-run third, highlighted by Dilson Herrera’s solo home run to left field and Josh Rodriguez’s single, was accompanied by three more in the fourth, with Rodriguez’s two-run double causing most of the damage. Center fielder Brandon Nimmo was the hitting star for the 51s, going 4-for-5 with a two-run homer and a double. He also helped with his glove, robbing Leury Bonilla of extra bases with a nice running catch in the ninth inning. But he crashed into the wall while making the grab and was hobbling as he was taken out of the game. Backman said he didn’t think the injury was serious. 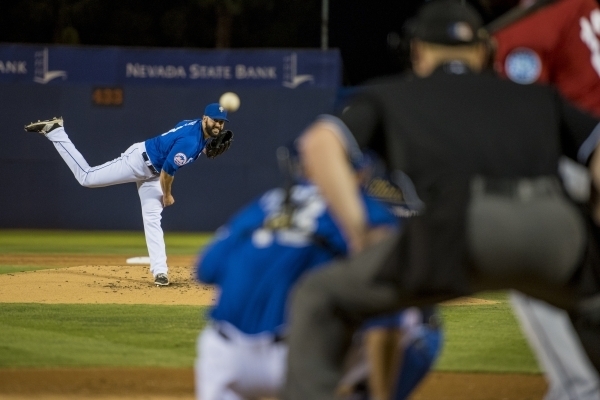 And while the Las Vegas bats came alive, the 51s got a huge effort from pitcher Dillon Gee. The right-hander dominated the Rainiers, limiting them to one run and four hits while walking two and striking out seven in seven innings to improve to 8-3. His only serious trouble came in the sixth when he surrendered a leadoff triple to Chris Taylor, who scored on Mike Zunino’s single. Almost as important was Gee’s ability to pitch deep into the game. Backman used eight pitchers in Thursday’s 10-1 loss to El Paso. Las Vegas reliever Chase Huchingson couldn’t finish out the game, as he got lit up for three runs and five hits in the ninth, and Backman needed John Church to get the final two outs, which he did by inducing Patrick Kivlehan to hit into a double play with the bases loaded. Of course, given the 51s’ success at the plate, don’t look for batting practice today. “I think we’ll stick with what works for now,” Backman said. 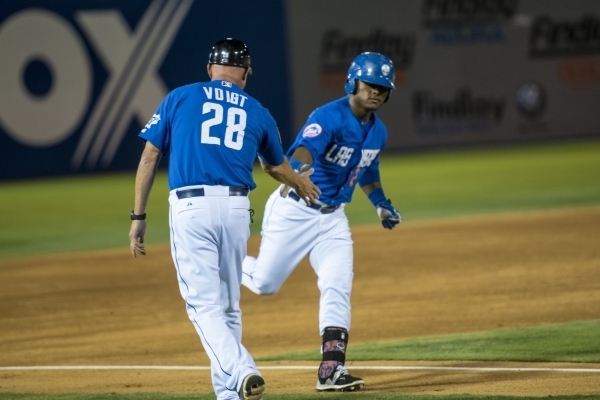 NOTES — Before the game, the 51s announced their 2015 season award winners. Brandon Allen was voted the team’s Most Valuable Player, and Travis Taijeron was awarded the Mayor’s Trophy. Steven Matz was selected the Most Valuable Pitcher, and Allen and Chasen Bradford were honored with the team’s Community Service Award. … Tonight is Fan Appreciation Night, and the first 2,500 fans will receive a 51s jersey.